Belgium produces vast amounts of Pilsner style lagers, which are extremely commercial and represent good value for money. 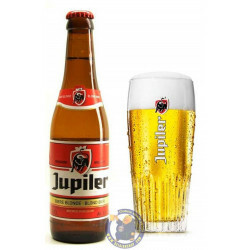 The two leading Belgian pilsners bands are Jupiler and the famous Stella Artois. There are signs for Jupiler everywhere in Belguim, or at least in the urban areas. 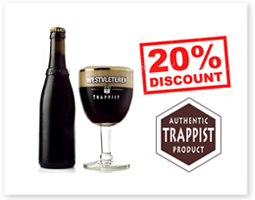 After all, with all the places that serve it, it must be among the best-selling beers Belgium has to offer. 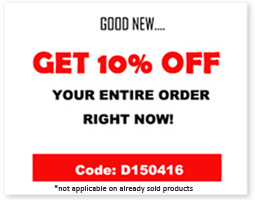 It was sorta dry with an infinitesimal degree of maltiness. It is Belgian Bud. 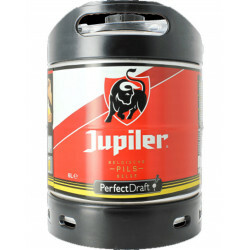 Jupiler is brewed by Belgian brewing force Inbev in Jupille, near Liege. The brand looks crystal clear and has a yellow straw color with a fine white lace. It smells a bit grassy from the hops, probably aged Saaz hops, very mellow and distinct with touch of pale malt aroma. It tastes very light, crisp, smooth with a touch of mouth coating diacetyl with faint malt flavor, grassy bitterness, turning dry at the end. Stella Artois could be found on tap almost everywhere in Belgium. This classic European lager is a bottom fermented blond pils with an alcohol content of 5.2% ABV. Only the very best barley and the finest hops are selected for this beer. 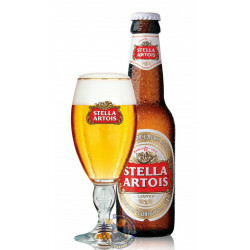 Stella Artois is full-bodied but nonetheless exceptionally thirst quenching, and should be served cold at 3° C. That is undoubtedly a great Belgian brew, and an extremely drinkable lager, with a dedicated following in Belgium, Britian and most recently the U.S. It looks slight chill haze, light and pale with a nice, pure white, frothy, lacey head. It has a clean smelling with milled grain husk aromas and slight malt sweetness. 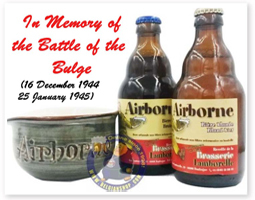 Upfront this brew has a light malt mouth feel with dextrin sweetness that turns almost tea-like. Then a vague hop bitterness and mild sharpness that builds towards the end of the flavor, with some dry grain notes. DMS (cooked vegatable) flavors are also present as this brew warms. 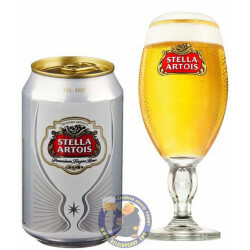 Stella Artois is marketed in 16 countries and is continuing to be rolled in additional markets.